Twitter IPO: Twtr stock price soars on NYSE from $26 opening. The Twitter logo graces the front of the New York Stock Exchange as investors scramble for shares. A few weeks ago, I wondered why Twitter was planning to go public at a bargain-bin stock price of just $17 to $20 a share. That implied that the company was worth just $11 billion—a lot of money, yes, but far less than many on Wall Street expected, given the site’s rapid growth, global reach, and outsize influence on the media and entertainment industries. Twitter did adjust its opening price before the bell sounded at the New York Stock Exchange on Thursday morning, raising it to $26. That was enough to raise on the order of $2 billion for the company, the second-largest tech IPO ever, behind Facebook, according to Reuters. Yes, larger than Google. But as it turned out, Wall Street’s enthusiasm for Twitter stock exceeded almost everyone’s expectations: The price nearly doubled out of the gate, peaking at over $50 before settling into the $40s early Thursday afternoon. That gave Twitter a market capitalization in the neighborhood of $25 billion, and presumably the bounce bought the company a lot of good press for its IPO and good will from investors. Congratulations, Twitter: You succeeded in avoiding a repeat of the supposed Facebook debacle. Some contrarians are still saying that the company fouled this up. Business Insider’s Henry Blodget believes Twitter left $1 billion on the table by pricing its stock so much lower than the market would bear. 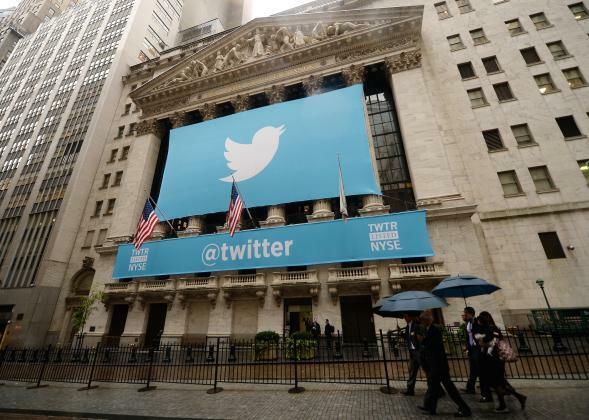 If the point of an IPO is to raise capital, Twitter could have done much better, it seems. Yet I actually think the $26 opening price was pretty reasonable. It’s one thing to lowball your opening price just to induce an IPO “bounce” that enriches a bunch of privileged investors. But the revised price reflects a sane valuation of a company that has great potential but also some serious limitations. Twitter is not Google or Facebook: It simply isn’t the type of service that compels every Internet user on the planet to use it on a regular basis. For a digital-media-savvy subset of the population, it’s an addiction. But for most people, it’s simply too much work to really get invested in. That could change in the future. But remember, Google and Facebook were already well on their way to near-universality when they went public. Twitter, which claims less than 20 percent of U.S. adults as active users, is not. Perhaps today’s $40-plus share price will prove sustainable, but there’s a good chance it won’t. If not, that won’t be Twitter’s fault.